As always, everything was done in my workshop. 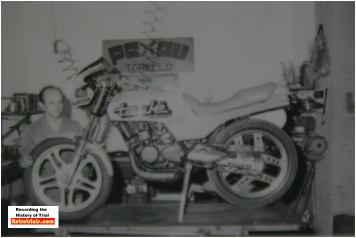 We developed the petrol tank, the prototype was sheet steel made from here and we produced all the exhaust pipes for all the series. RT: Were the stick spokes your idea? 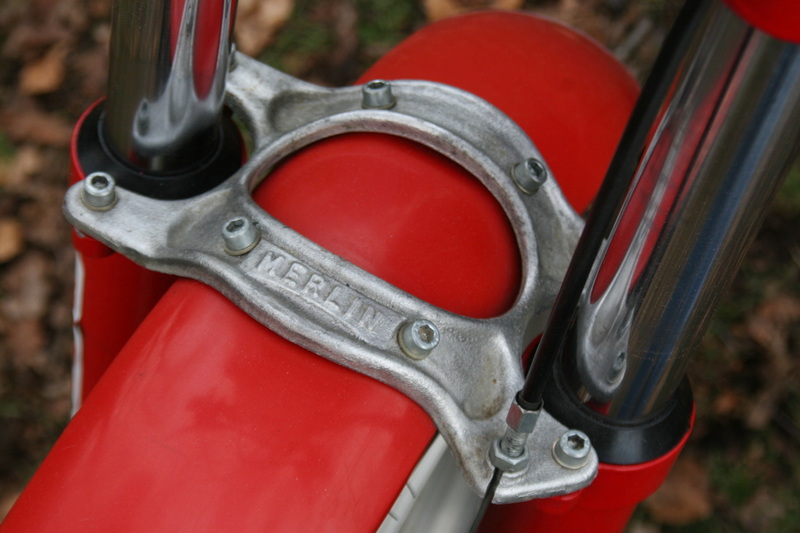 P: No, this was Merlins’ idea to innovate and put something new on the market, but it was not a very good idea because they broke a lot and they were too ridged, until they used the 3 sticks, the “Fius” ones. 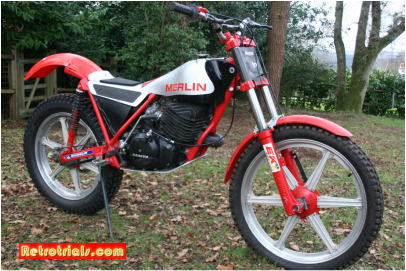 RT: The Cagiva engines that Merlin had, were they modified here or from Italy? P: They actually made them and modified them in Italy. In here I modified cylinders and clutches plus various other things. 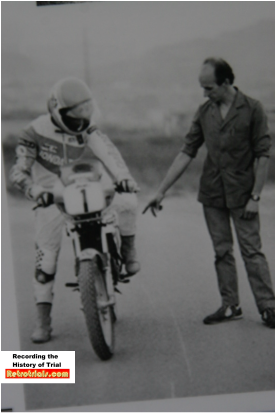 When we thought it was final after we tried it, Cagiva would make the changes according to the needs. RT: In 85, two things happened. 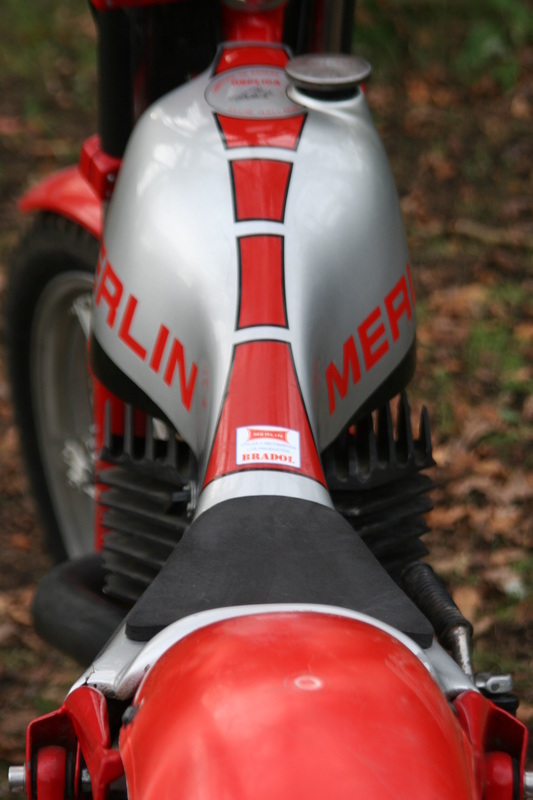 Merlin presented prototype DG8 with the 125 Cagiva engine increased to 190cc and you prepared a Honda 80cc for Crivillé, to ride road race. How was that? 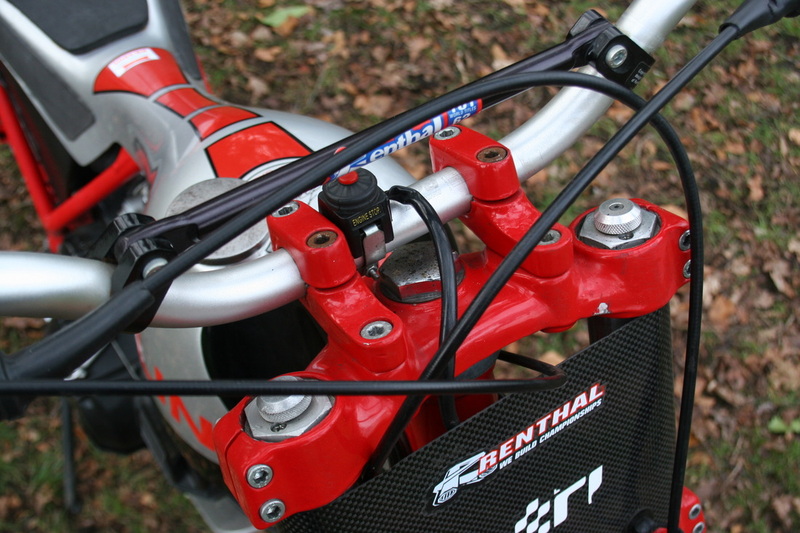 P: The DG8 came from wanting to have more power than the 125. I still have the cylinder that we used for testing. It went really well. I don’t know why they didn’t incorporate it in the series. I suppose it was a commercial issue. 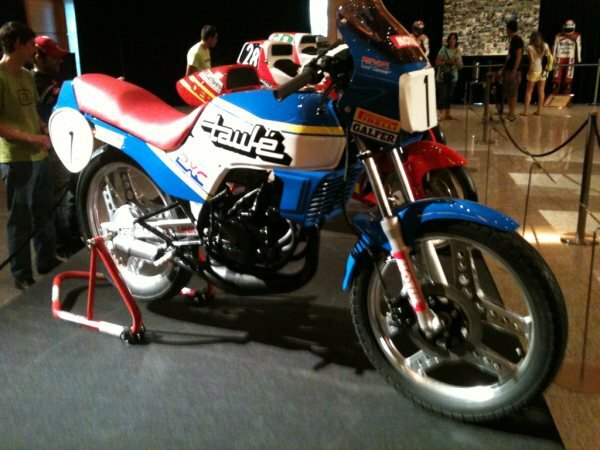 The Honda 80cc for Crivillé came about because I was friends with Manel Soler, at that time he was a manager of Honda Taulé. 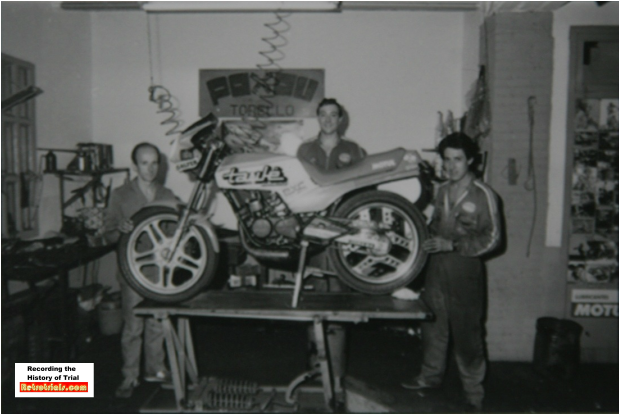 One day he said to me that I had to prepare a motorbike for a youngster called Crivillé. I said, “No, this it not my speciallity”, but, he insisted every day that I saw him until I said to him “Alright, I’ll try it. But if it doesn’t work, so be it”. The following morning, I had 2 motorbikes in front of my house. 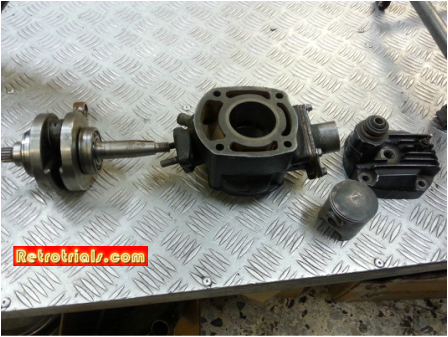 I tweaked the cylinder the crank the piston the expansion chamber made by me. 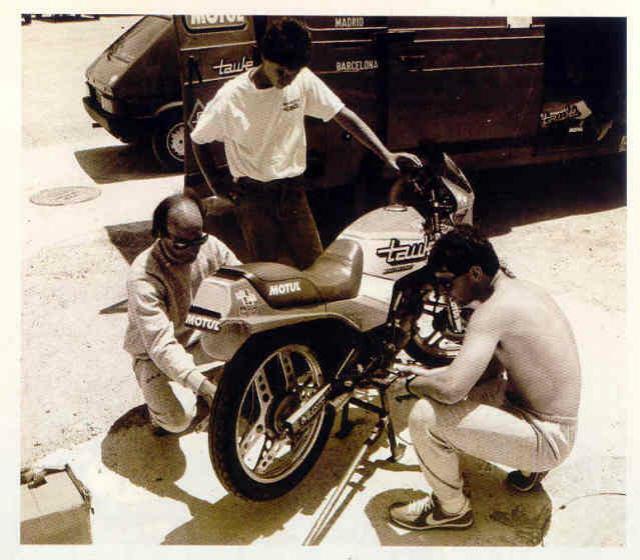 In a few weeks time we went to Calafat to do some tests where there were lots of circuit bikes from people with much more experience than I had. In the end, it turned out that ours was the fastest by a big margin!! We overtook all of them without any effort. 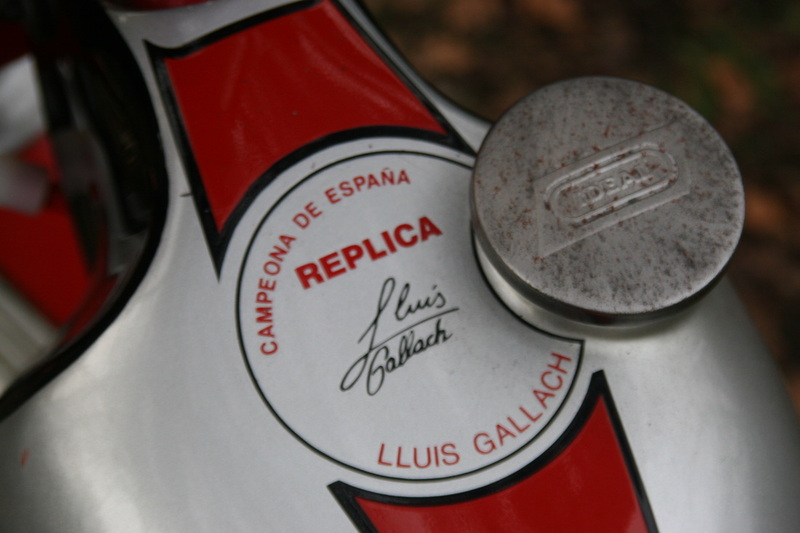 I carried on working on it and when we arrived in Jerez, on the first test it was even faster. That year, Crivi won all the races, but one I think because he had a broken arm. I have still got the cylinder the piston and the crank because when the championship finished the motorbike was sold but they took all the pieces off made by me. I haven’t got the expansion chamber because I gave it to Crivi recently because we made a replica of the Honda. Alex Criville with Paxau testing . 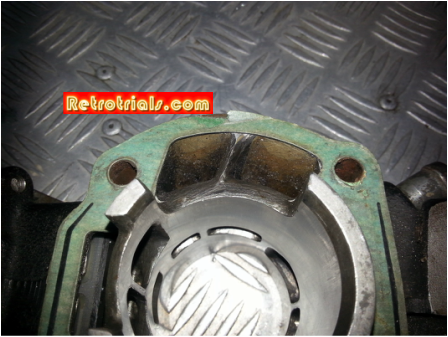 The actual crank and cylinder of Alex Criville's Honda. 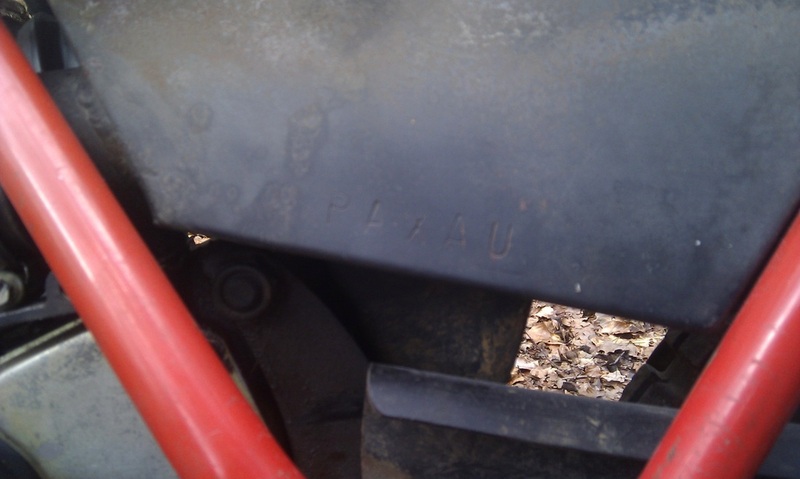 These parts were altered and modified by Paxau. 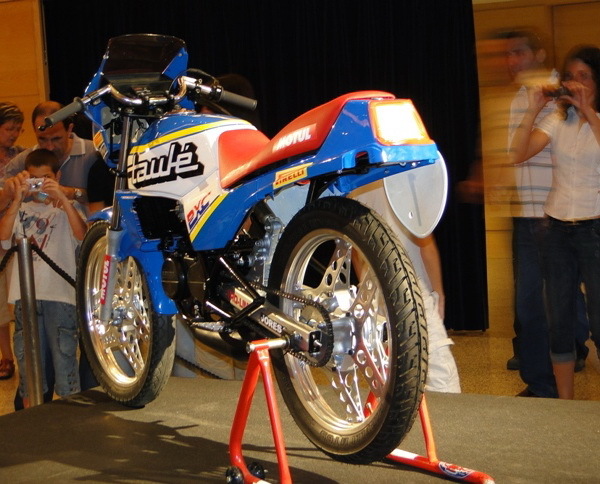 This Solo Moto sponsored series took place on Honda MBX80's. Criville's success in this series launched his career.